Watermark Members and Sponsors: Send us your good news! We’d be happy to share it with our community. Remember, when one of us earns a promotion, an award or any sort of achievement or recognition, we all take a step forward. Watermark's Make Your Mark Emerging Executive of the Year Winner, Katherine Fordon, recently was promoted to Director of Corporate Communications for Wilbur Ellis, a San Francisco-based company. Passionate about women’s rights and equality, Katherine is a board member of Women of Wilbur-Ellis, the Company’s first business resource group, a member of Watermark’s Emerging Executive Advisory Council and a volunteer for Courageous Women Association’s Career Development and Economic Empowerment Program. Katherine also serves as a board member for Diablo Valley Montessori School. Watermark Board Chair Ann Barlow, Peppercomm President, West Coast, is expanding her current position leading client service and driving new business acquisition across key sectors in the Bay Area to include the role of Managing Director, Employee Engagement. In this added capacity, Ann will lead the development and client deliver of the firm's new Employee Engagement offering, which is grounding in a deep data-driven methodology. READ MORE. 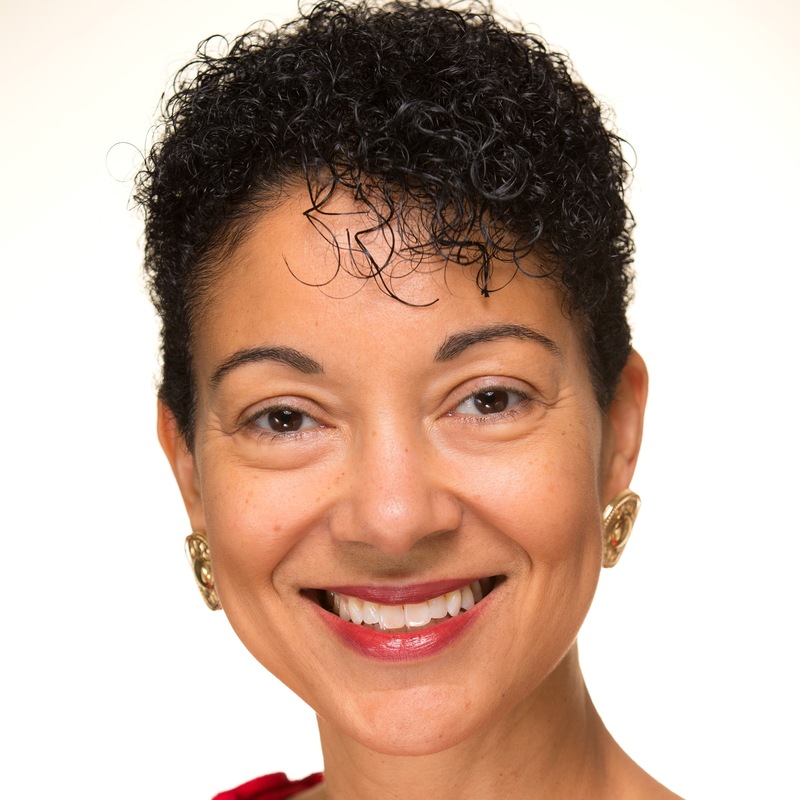 Watermark member Barbara Mark, Ph.D., of Full Circle Institute/A Time of My Own, invites you to participate in a research study and share your experiences of being a woman leader in the Prime of Your Life – 40s, 50s, 60s. The purpose? In our youth-oriented culture, little has been written about the experiences and contributions of mature women as well as the challenges they face that are unique to midlife women. To learn more and participate, download her PDF! Watermark member Margaret Graziano, Chief Talent Strategist for Keen Alignment, invites you to Ignite Power: Awakening Feminine Leadership, a weekend designed to help you experience more energy, vitality, joy and peace – and transform your leadership presence. The program is set for May 2-4 at 1440 Multiversity in Scotts Valley. Register here – use 1440 for the code and save 50%. Congratulations Watermark Board Co-Chair Lynne Born. 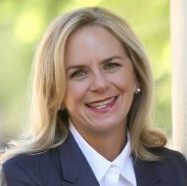 Formerly of Seiler LLP, Lynne is now the new CEO of Perelson Weiner, based in New York City. Recognized multiple times as one of the nation’s “Best of the Best” accounting firms, Perelson Weiner specializes in advising high-net-worth families and successful entrepreneurs, privately held businesses and non-profit organizations on achieving complex and sophisticated business and personal objectives using a proactive, innovative and value-based approach. And congrats, too, to Watermark Ambassador Chris Yelton! Chris was just named CEO of The Sage Group. There's more good news for Sophia Velastegui. Sophia was recently named GM, Product, Artificial Intelligence and Machine Learning, at Microsoft – and she just landed a position on the College of Engineering board at Georgia Institute of Technology. Kudos! Kudos, too, to Karin Vogel. Karin was just named Vice President of Marketing for Electric Imp. Erin Beable, Financial Adviser, Morgan Stanley, invites everyone to a Wealth Management Return to Work program, a paid, 10-week returnship designed to introduce entrepreneurially minded individuals to a career in wealth management. If you're interested, there's an information session in Palo Alto on Jan. 30 and another one in Oakland on Jan. 31. Congratulations to Tricia Timm! 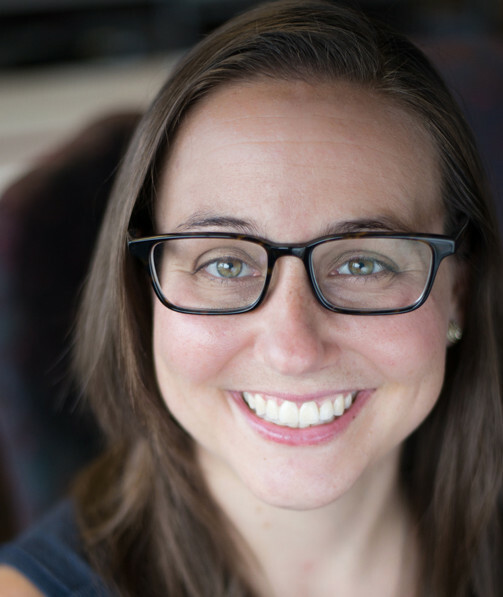 Tricia was just named General Counsel of Looker, a leading data platform company. Tricia comes to Looker with over 20 years of experience as both in-house and outside counsel, advising companies on areas such as corporate governance, M&A, data privacy and securities law compliance and obligations. Congrats also to Denise Thomas, the new Contracts and Pricing Senior Manager at Pharmacyclics. Denise was previously Government Contracts and Pricing Manager at Gilead. And kudos to Hannah Kain and her ALOM team. ALOM, a global leader in sustainable supply chain management, has been selected to receive the Supply & Demand Chain Executive Green Award for 2017. This is the fourth consecutive year that ALOM has been honored with this award. New Watermark member Sudha Kasamsetty invites everyone to VerveCon, set for Friday, Feb. 9, at the Santa Clara Conference Center. VerveCon is a "convention for enthusiastic women in technology" in the Bay Area. Register using vc-comp1 as the comp code for a 40 percent discount. Thank you, Sudha! And last, Watermark is pleased to welcome Silicon Valley Bank as a new sponsor. From technology to health care, from San Jose to Shanghai, SVB supports businesses that invent the future, helping innovators, enterprises and investors move bold ideas forward, fast. A perfect match for Watermark! Along with her awesome new newsletter, Above the Bottom Line, Watermark Board Member Nikita T. Mitchell, Senior Manager, Strategy and Planning, Cisco, is featured in a Nicole Antoinette podcast titled Making an Impact and Running Toward Fear. In this episode, Nikita shares stories from business school and from being a woman in the corporate workplace. Nikita and Nicole talk about the role of money in both art and activism, and about the fact that women often struggle with the ability to openly ask for the money they need to do the work they're doing. Congrats, Nikita! And Watermark Board Member Cindy Solomon is raising the #allmalepanel red flag with a LinkedIn post. She’s invited to an upcoming LIMRA conference – and there’s not a woman scheduled to speak on the main stage. Cindy asks, incredulously: “Women don’t sell or buy financial products?” Weigh in with a comment. The more we remind event planners about the importance of diversity among presenters, the better. Watermark Emerging Executive Advisory Committee Member Bindu Garapaty of Juniper Networks was featured on a Tapping Your Talent's Authenticity panel at a Harvard Business Publishing's The Power of Authentic Leadership conference earlier this month. Bindu is quite the expert in authenticity. Don't miss her Authentically YOU webinar, 10-11 a.m., Wednesday July 5. Great job, Bindu! Watermark Board Member Divya Ghatak is the new Vice President, People, at Nevro. She's responsible for all aspects of Talent, Culture and People Operations globally to serve Nevro's mission and ensure team member success and development. Prior to this new role, Divya was Chief People Officer at GoodData. Watermark Board Member Maya Strelar-Migotti recently joined as one of Managing Directors for Golden Seeds, an early-stage investment firm that focuses on women leaders. At Golden Seeds, Maya will be seeking out women-owned startups in need of funding. She will continue her consultancy and advisory engagements via Tritom Partners. Watermark Ambassador Tina Dao, Senior Director of Engineering at FitBit, will be on a panel at Conscious Leadership: Through the Lens of Women in Tech. The event, hosted by Conscious Capitalism, is set for 6-9 p.m., Wednesday, June 21. Watermark members and followers are welcome to attend. And congrats to member Denise Green on her new book, Work-Life Brilliance: Tools to Break Stress and Create the Life You Crave – a best-seller on Amazon. Denise is a popular motivational speaker, executive coach and writer who helps leaders go from burned out to brilliant. Learn more about her on her website. Watermark member Olga Mack is certainly doing her part to increase the number of women in leadership positions – specifically the number of women who serve on boards of directors. As the founder of Women Serve on Boards, Olga and her team use social media campaigns, letters and petitions to corporate leaders, urging them to make inclusion of women and diversity a priority. Steadily and surely, Women Serve on Boards is making a positive impact. Land O’Lakes recently added Joyce A. Cacho to its advisory board and Discovery Communication added Susan M. Swain to its board of directors. Over the past few weeks, Women Serve on Boards has rolled out a new F500 social media campaign focused on the remaining 20 Fortune 500 companies that have yet to appoint a woman to their board of directors. Stay tuned. More good news is in the works, no doubt about it! Please show your support on Twitter by following @BoardsWomen! Watermark member Donna Flores now has an extended role at Ericsson, one of our Watermark sponsors. Formerly an Internal Communication Specialist for Ericsson in Silicon Valley, Donna is now Global Employer Brand and Communications Specialist. Donna is now responsible for Ericsson’s employer brand to attract global talent, engage team members and create employee advocates. Watermark is happy to report that member Jenn LeBlanc is now a co-lead for our Peninsula WLU group. Jenn is the CEO and Founder of ThinkResults Marketing. She joins Ching Valdezco of Exec-Comm and Heather Jerrehian of Massdrop as a co-lead of this popular group. Be sure to say hello to her at our next Peninsula WLU on Tuesday, July 11. Location is still TBD, but you can go ahead and register now. We'd love to see you there! And member Stacie Pham just joined our Emerging Executive Advisory Committee, a fantastic group of women who provide us with key insights and spot-on recommendations into the types of programming that's most helpful to those on their way up in their careers. Stacie is IC Business Partner, North America, Ericsson, a Watermark sponsor. You'll definitely meet her at our Watermark Leadership Conference on Friday, July 14 at Intuit in Mountain View. The Leadership Conference is inspired by our Emerging Executive Advisory Committee. Many thanks to both Jenn and Stacie for lending their expertise to Watermark! The Silicon Valley Business Journal recently announced its 2017 Women of Influence awardees and we're thrilled to see six Watermark members made the list! Help celebrate their success Thursday, May 18, at the DoubleTree by Hilton San Jose. The expo and networking reception begin at 4:30 with the dinner and awards at 6 p.m.
By the way, several other award winners are part of our Watermark community via our sponsors and events, as well. Congratulations, too, to Dawn Belt and Larissa Newmann of Fenwick & West, Eugenia Corrales of ShorTel, Lisa Fontenot of Gibson, Dunn & Crutcher, Michele Haddad of TIBCO Software, Cheri Devlin of Microsoft, Shelly Gordon of G2 Communications, Julie Holloway of Latham & Watkins, Puja Jaspal of VISA, Dr. Karin Lachmi of Bioz, Victoria Lee of DLA Piper, Denise Lombard of Cisco, Karen Peacock of Intuit, Monica Kumar of Oracle and Sarah Solumn of Davis Polk! Congratulations to Watermark member Rina Raman! She just landed a new job as Vice President, Customer Experience Group, with Intel, a Watermark sponsor. Rina is a co-lead of our CTO/CIO C-Suite group, and a co-lead of our South Bay WLU. Watermark member Leigh Wasson of BNY Mellon Wealth Management (a Watermark sponsor) invites everyone to A Firsthand View of Corporate Governance Reform in Japan, set for 6 p.m., March 9, at DG717, 7171 Market St., in San Francisco. Dr. Christina Ahmadjian will share her experiences as one of the few non-Japanese women to serve as an outside director at a Japanese company. A Harvard, U.C. Berkeley and Stanford alum, Dr. Ahmadjian serves on the boards of Mitsubishi Heavy Industries Ltd. and the Japan Exchange Group. And more good news from Watermark sponsor ALOM, a global leader in supply chain management. The company was selected by the U.S. Navy to supply a range of information communication technology equipment for a five-year, $14.2 million contract. Congrats to Watermark member Hannah Kain and her team! Big congratulations to Watermark Board Member Merline Saintil. Merline was just appointed to the Board of Directors of Banner Corporation and Banner Bank. Merline is Head of Operations for the Product & Technology group at Intuit, a Watermark sponsor. Interested in board service? Don't miss our How to Get to the Boardroom webinar with Shellye Archambeau! Watermark Board Member Erna Arnesen has a new job with ZL Technologies as Global Channel and Alliance Officer. She's responsible for global channel and alliance strategy, development, programs and execution. ZL helps enterprises solve problems associated with eDiscovery, Compliance, Security, Analytics, Records Management and Information Governance. And well done! The National Association for Female Executives (NAFE) named Watermark sponsor BDO USA, LLP one of the 2017 Top 60 Companies for Executive Women. The NAFE award recognizes American corporations where women have significant clout to make the decisions that affect their companys' future and bottom line. Watermark Board Member Nicole Ward, BDO's Western Regional Director, must be very proud! And congrats again to Watermark member Hannah Kain, President and CEO of Watermark sponsor ALOM. She and staffers Lisa Dolan and Rick Mizzo have been recognized by Supply & Demand Chain Executive as 2017 Supply Chain Pros to Know! This the third year for Hannah and the second year for Lisa to receive this honor. Congratulations to Watermark Board Member Nikita Mitchell! She recently launched a great new website and weekly newsletter, Above the Bottom Line, where she tracks how the world’s most influential companies are taking a stance on the issues we care about. So sign up and have a read! New Watermark members Christine Leffler and Michele Nur are involved with TedX OnBoard, and invite all Watermark members join them – use HAPPY as the promo code and save 50%. The event is noon-3 p.m. Sunday, Feb. 26, at the Hacker Temple in San Francisco. Christine is heading the Social Media Street Team and Michele is leading the marketing effort for the event. Watermark member Leah Yoneda has been promoted to Director of Marketing for Seiler LLP, a Watermark sponsor. Her responsibilities include brand strategy, digital marketing, client experience and other arenas within marketing. Leah has worked with professional services firms for 12 years, specializing in public accounting and financial services. Congrats, Leah! And speaking of congrats: BNY Mellon, WOW! Big congratulations for being recognized as one of 52 firms in the 2017 Bloomberg Financial Services Gender Equality Index! Bloomberg creates the list by researching data across areas such as gender-equal compensation, supplier diversity programs and retention rates of women clients. BNY Mellon Wealth Management is a Watermark sponsor. Watermark members and sponsors are starting the year on award-winning notes! Have a look at who’s doing what! Congratulations to a long-time Watermark corporate executive member, Sheridan Foster, on the launch of her new company, Elemental Green! This exciting startup is accelerating the adoption of green building and renovation by bringing homeowners and building pros the latest eco-products, green education and inspiring articles about sustainable homes. Elemental Green is making a difference for a healthier, more economical and climate-friendly future. Sheridan was also recently named by the Department of Electrical and Computer Engineering at University of Wisconsin-Madison as one of their 125 People of Impact. Watermark member Monica Phillips of Spark Plug Labs continues to post her wonderful Powerful Conversations podcasts. • How Technology is Transforming the Health Care Industry with Sam de Brouwer of doc.ai and Melanie Matheu of Prellis Bio. 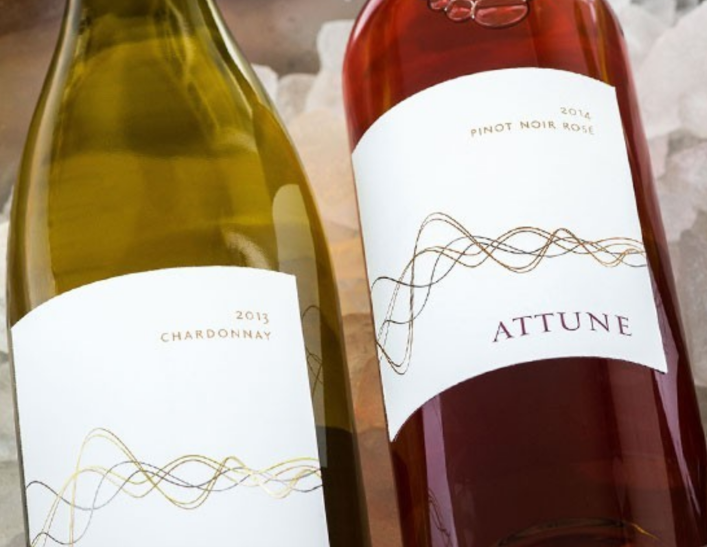 Watermark's 2016 Make Your Mark Awards wine purveyor Attune Wines just won a gold medal for its 2104 Pinot Noir – the very wine that we served at the event! The medal comes from the San Francisco Chronicle's Wine Competition this past weekend. Congrats, Attune! And in more great news: Our Feb. 1 Watermark Conference for Women was highlighted in Politico Playbook, the most widely read newsletter among California opinion leaders. Scroll down, you'll see it under Events. More news coverage to come, no doubt about it. Speaking of news – who's participating in the various women's marches across the across the country this Saturday? Let us hear from you! We'd love to share your comments, observations and photos from this very special day. Last, Watermark sponsor Equinix is looking for a Corporate Development Manager to drive its M&A effort. M&A has been a critical driver of growth at Equinix. Since 2007, Equinix has completed more than 10 corporate acquisitions with a total consideration of more than $6 billion. The position is a unique opportunity to develop your transaction experience, strategic thinking, finance skills and understanding of the data center space. Details here! Do you have good news to share? Send us an email and we'll help you spread the word. Watermark members and partners are starting the year on a great note! Have a look at who’s doing what! Pamela O'Leary has landed a new role at Watermark sponsor Ericsson as a Talent Acquisition, Global Diversity Lead. You can learn more about Ericsson's innovative approaches to talent acquisition during our Gender Balance: We're Achieving It, and So Can You event, Jan. 11. Plus, Pamela was invited to, and attended, the White House Summit on Building the Tech Workforce of Tomorrow, held in December. What a great honor! Speaking of honors, congrats to Watermark Board Member Shellye Archambeau! Her company, MetricStream, a market leader in Governance, Risk, and Compliance (GRC) apps and solutions, was awarded "Industry Innovator of the Year" by SC Magazine in the Risk Management and Policy Management category. Shellye's on the cover of Enterprising Women, and she shares her wise wisdom in Tech: 4 Steps to Succeed, recently published by Ivy Exec. Kathy Ullrich is now Partner, Technology Practice, at Odgers Berndtson, a Top 6 global recruiting firm, with 54 offices in 28 countries. Kathy specializes in searches for senior executives in the technology sector, working with major corporations and venture-backed companies in high tech, software, Internet and services. She also works with the company's Diversity practice, offering solutions to improve inclusion and diversity at technology companies. And, here's a great opportunity to accelerate your career this year! Watermark partner UC Davis Graduate School of Management is expanding its presence in the Bay Area with a 10-month M.S. 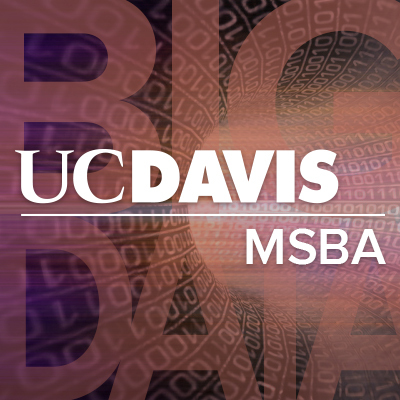 in Business Analytics program offered on Friday and Saturdays in San Francisco, heart of the Big Data revolution. Designed to prepare innovative leaders for the digital economy, the program has fellowships, scholarships and other financial aid available to help you invest in your future success. Apply now for fall 2017. Have some good news to share? Send us an email and we'll help spread the word!